AUCKLAND, New Zealand - Auckland City FC's bid to reach the OFC Champions League semi-finals faces a stern test when the Navy Blues host Solomon Warriors at Kiwitea Street on Sunday. After winning the ISPS Handa Premiership Grand Final title following a two-year domestic title drought, the Navy Blues must recover from the psychological and physical exertions of playing an energy-sapping final with Team Wellington and face down opponents who enjoy a free-flowing and attack-minded game. Resilience has been the name of the game for the Warriors after they recovered from a 2-0 defeat to Erakor Golden Star to knock over AS Lossi 6-1 and AS Dragon 2-1 in Tahiti to clinch second place in their pool. The Warriors host plenty of attacking talent, including the likes of Gagame Feni, Jerry Donga and Kensi Tangis, players who have inflicted damage on Auckland City FC in the past. 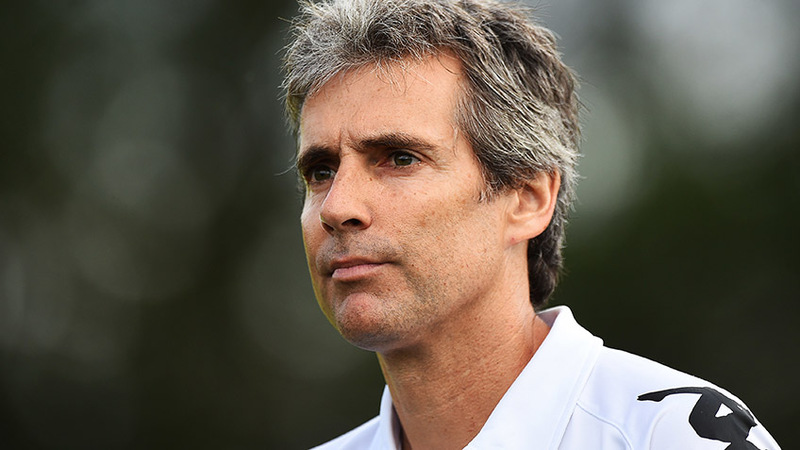 Auckland City FC coach Ramon Tribulietx said the psychological aspect was important. “We will try to make sure we understand everything about the Warriors and make sure we learn everything before the game and try to be as psychologically recovered when we face them on Sunday. “They’re going to try and hurt us on the counter-attack and it’s probably their most important attacking weapon. When you give them one-on-one situations, we need to be cautious as they’re very fast, they turn defences very quickly. "We have talked to our players about this and the tactical side of things, but it’s difficult to see how exactly the Warriors will play the match on Sunday," he said. Auckland City FC have met the Solomon Warriors previously with the Navy Blues winning 4-0 on 10 April 2016, courtesy of a Joao Moreira hat-trick and a goal by Daewook Kim. “They have two players out wide Gibson Daudau and Gagame Feni, who can cause a lot of damage, they also have a player like Kensi Tangis up front, who’s a very fast goal scorer and they have someone like Jerry Donga, playing on the tip of midfield and he is a force for them and can arrive late into the box. He's a very dangerous player," Tribulietx said. The Warriors start the match as underdogs with no team from the Solomon Islands ever having defeated Auckland City FC in the OFC Champions League. Making the task even harder is the resolute defensive record of the Navy Blues - they have not conceded a goal in 863 minutes of OFC Champions League matches, a competition record. Despite the tale of the tape backing up Auckland City FC's role as favourites for this game, Tribulietx speaks of showing Solomon Warriors every respect when they clash on Sunday. “This is going to be a very difficult match, we respect them a lot, they’re very a dangerous team and they're in the quarter-finals as a result of doing well in their group. “We’re expect a very tough game but not only because the Solomon Warriors are very good, but also because we’re coming back from the ISPS Handa Premiership grand final and the emotions a cup final can generate can be difficult to recover from. The match kicks off at 2pm at Kiwitea Street. Elsewhere, Team Wellington plays host to Lae City Dwellers at David Farrington Park in Wellington on Saturday at 2pm, while AS Dragon host Lautoka in Tahiti. The other match taking place on Sunday pits Nalkutan against Marist FC in Port Vila. The winner of Auckland City FC versus Solomon Warriors will face a home and away semi-final clash with the winner of the Team Wellington versus Lae City Dwellers match at the end of April.